Man, it is so easy to get comfortable in our safe ways. We are creatures of habit. A big part of our life is routine and staying sheltered. And at times it is needed. When we were young, our parents, teachers, and coaches made sure we were safe. We were not prepared to protect ourselves, so others helped us through that stage. The environment we were put in was often not chosen by us. Growing up, we are taught to get safe jobs through school. If you’re like me, you were easily influenced during these years and listened to this advice. We then find ourselves in those steady, corporate jobs and become scared of other options. I almost hear “Hey, it’s not as always greener on the other side” more now than the alternative. That is Fear poking it’s head. But if there is one thing I know, it’s that change will happen whether we like it or not. It’s the basic principle of nature. Those you spend time with will change. People will come into your life. Others will leave…at times unexpectedly. The way I look at it is we only have control of our response to change if it occurs externally. We must look out for ourselves and those we care about. We have to overcome change at times, while other times it comes as a pleasant surprise. But often, the problem is our resistance to this inevitable change that occurs. We think we’re the center of the universe during these times. We try to fight this force because it is disturbing our safe environment that we are finally comfortable in. But here’s the thing – Mother Nature doesn’t care about your plans. She has plans of her own. It’s a slight frame shift. I felt this to be more empowering because it puts more of the accountability on me to do the work. Resistance is a big part of this personal battle. Embracing change is more of a passive concept. To me, it implies staying open to the external change that will occur in my life. I want to focus more on the self-created change. Noticing my natural defenses to this change and fighting/rewiring those faulty impulses is more of what I’m after. So that is my 2015 Theme – Fight My Resistance to Change so I can eventually embrace both change that is forced on me, as well as create the necessary change I desire. Change isn’t good. Change isn’t bad. Change just is. Don’t let external events or other people determine your view of the world. Don’t let them distract you. Or let them set limits on you. Don’t let them decide where you’re going. Don’t let them determine your impact in this world. We humans are great at adapting. It is the reason we are still alive and kickin. We would be the prey of a predator or the victims of famine. Adapting is a great advantage. But with that, there is also a downside. We adapt to what others have done before us because it works. We adapt to similar behaviors that are often destructive. We adapt to what our friends and acquaintances see as a right. It’s ying and yang. The problem is there is no time-out in our society to take time and evaluate what is really going on. We are chess pieces on a board that is often already deciding our next move. That is, unless we step back. Unless we see things from a different angle. A different point of view. Some quit their jobs, travel, and find themselves. Others can’t because of the dependencies in their life, whether those be self-induced or forced upon them. Some may argue they don’t have time. 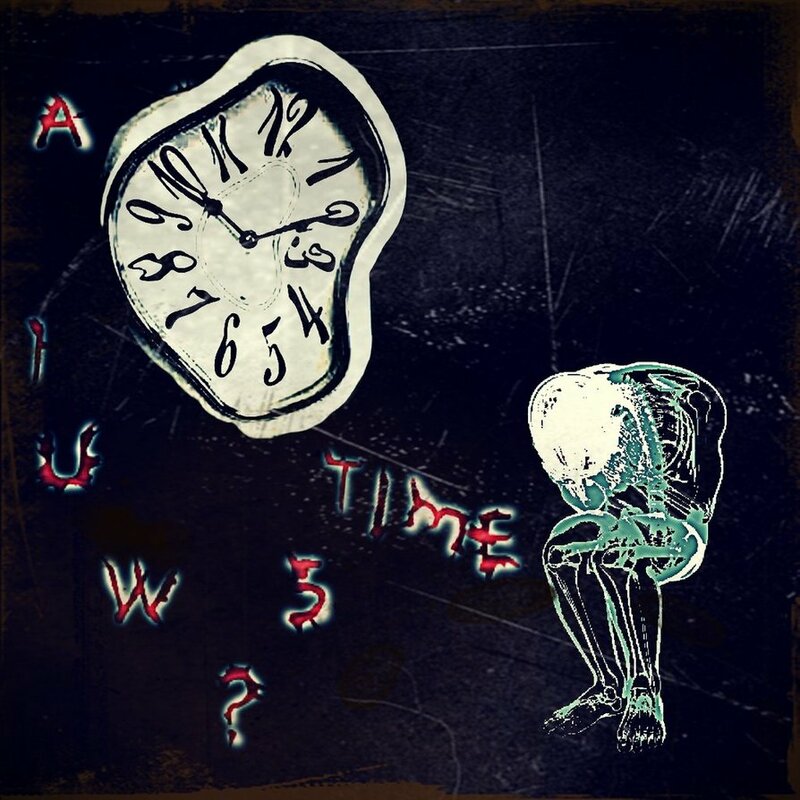 But there is time. Eliminate the unnecessary and find the time because it is essential for you. Gather your energy and create your own version of this life. You have the power to do that. You can choose where to focus your attention. You can choose who to surround yourself with. You can adapt in the best way you see fit. Make the time to see through all of the mess and your mind and vision will become clearer. Then comes action. So this week I turned 26. To gain a little perspective, I decided to look up what others have accomplished during their 26th year in this world. It is humbling to say the least. 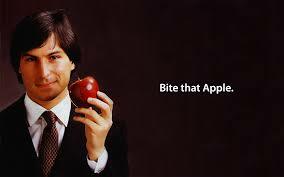 Steve Jobs is fresh off of Apple becoming a public company. Job’s net worth grows from a few million to over $200 million. Napoleon Bonaparte is named Commander-in-Chief of French Army. Napoleon wins a few major battles, the Battle of Lodi and the Battle of Arcole, that eventually leads to a victory over Italy. Ken Kesey publishes his first novel, One Flew over the Cuckoo’s Nest. Eli Whitney invents the cotton gin, revolutionizing the economies of the United States and Britain. Mark Zuckerberg gets a movie made about him and his creation of Facebook – The Social Network. Eminem releases his breakthrough album, The Slim Shady LP. Albert Einstein has his best year of his life, that he will later describe as his “Annus Mirabilis” – his miraculous year – Albert Einstein publishes four major theoretical papers in the prestigious German academic journal Annalen Der Physik. These four papers include a groundbreaking new interpretation of the photoelectric effect (for which Einstein will eventually win the Nobel Prize) as well as the first published exploration of the theory of Special Relativity and the first formulation of the famous equation e=mc2. Soviet cosmonaut, Valentina Chereshkova, became the first woman to travel in space. Jay Z releases his debut album, Reasonable Doubt, which was included in the Rolling Stone’s 500 greatest albums of all time. John D. Rockefeller buys out his partners and becomes majority owner of Rockefeller and Andrews, Cleveland’s largest refinery. “Don’t aim at success. The more you aim at it and make it a target, the more you are going to miss it. For success, like happiness, cannot be pursued; it must ensue, and it only does so as the unintended side effect of one’s personal dedication to a cause greater than oneself or as the by-product of one’s surrender to a person other than oneself. Success and happiness must ensue. It cannot be pursued. So you must stay on your grind. Keep your head down. Remove distractions. Push forward a little bit daily. Fight your way through the obstacles. Think bigger than yourself. Only then will you come closer to the life you seek. Maybe it will start to show its face at 26. Maybe in a few years. Maybe never. It’s a little over a week into the New Year. 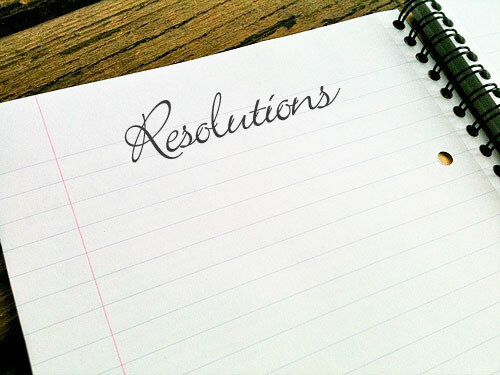 Many have just begun working towards their resolutions, while at the same time, many have already given up on theirs. 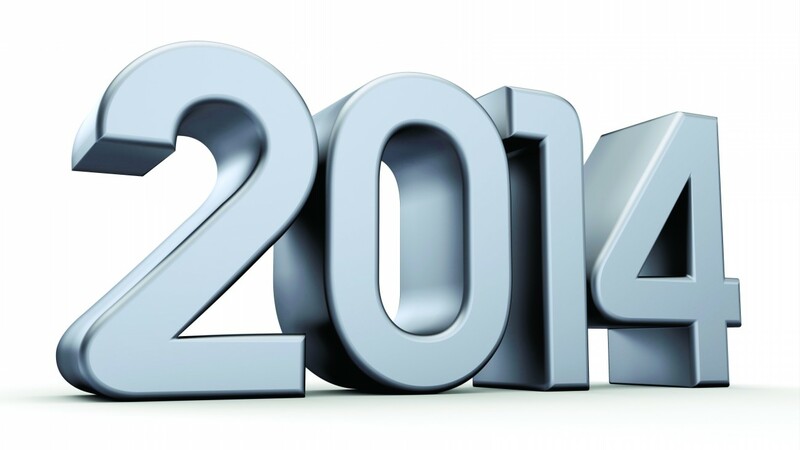 A few years ago I decided not to go down this route and strayed away from setting any more New Year’s Resolutions. I would often decide on something that I assumed would make me feel better – going to the gym 4 times a week, quit drinking soda, etc. I then realized that I, like many, can be disciplined for a while, but then get off course and move on the next thing allowing that resolution drift off to no-man’s land. So, I decided to set my own rules and began finding what works best for me. At the end of the year, I had a little time to think about what areas I would like to focus my themes/goals on. So I started to do a personal inventory on different dynamics of my life that has some sort of control over me. These can be thoughts/substances/emotions tied to past events among other things. My goal with this exercise was to give myself an idea of various themes and goals I can set for myself in the next year. This simple exercise was rewarding, so I wanted to share. 1 – Pay close attention to what controls you in your life. What is constantly on your mind? What is holding you back? Are you addicted to anything? 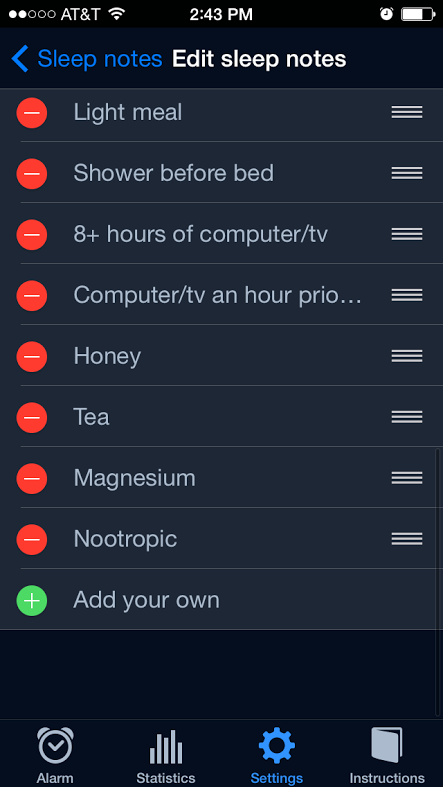 List everything you can. 2 – Determine if they are healthy or unhealthy. If healthy, you can choose to do nothing with them. If unhealthy, you can evaluate if it is worth the time to improve on. 3 – Choose the top 3. These can be used to shape your goals going forward. I have chosen my 3 for this year. I plan on keeping these in mind when setting my monthly goals and themes for the upcoming year. This will allow me to remember the important dynamics that are holding me back in various ways and work on gaining control of them instead of allowing them to control me. There are obstacles we must overcome to improve our well-being. Some are obvious. Some need to be discovered. And some of the chains need to be broken. I wrote about my lessons learned last year around this time, so I figured I would reflect back on this year as well. Knowledge vs. Understanding – Finally recognizing the difference between these two. I used to think I was smart because I’ve learned a lot of things on my own. But it was not until this year that I finally understood this vital difference. Knowledge is something you can acquire and accumulate, but true understanding only comes through experience. Only then can can you connect the dots between knowledge and your environment. Wisdom may soon follow. Exhaustion is real, and while I like to push myself, I have also seen its limitations. Rest and fun are necessary for well-being when working hard towards something, but there must be a balance. Also, it’s okay to take a break to recover and come back stronger. The significance of getting enough quality sleep and designing a personal sleep routine. No long, hot showers in the winter. No sugar or caffeine before bed. That I feel more alive when I get out in nature on a daily basis. Not only do we get the benefits of more sun, but we also can learn to connect with nature as humans are intended to do. When’s the last time you ran on the grass barefoot? Which brings me to – The benefits of a daily walk. Every day I attempt to at least take one walk (a little tougher in the winter, so I may substitute with the gym). I prefer to do this for the mental benefits – clarity, brainstorming – even more than the physical benefits. It’s also a great way to connect with friends and take meetings (learned this one from Steve Jobs). Laughter is a powerful healer. The power of constructing your reality and deciding what is played on your Movie Screen. I want to build myself from the inside out – not search my external world for temporary fillers. The importance of energy, environment, and the people you associate yourself with. These are extremely interrelated, such as noticing energy levels when in different settings or around different people. Understanding each of these within the scope of my immediate environment has been eye-opening and self-empowering. I hope 2015 has more quality lessons in store for me. These modern-day alarm clocks can really be a pain sometimes…rudely waking me up when my dream finally starts to get exciting. Then I’ll usually hit the snooze – probably multiple times – but the damage is done. I’d wake up feeling a little off for a while and the tone was then set for the rest of my morning. So as you may know, I’ve been working on improving my Night-Time Routine. 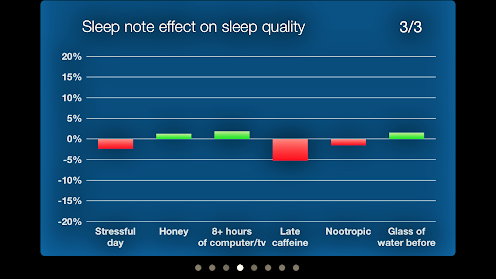 I came across this Sleep Cycle app in a couple different articles from blogs I follow in the health field. I was interested in the topic of how our sleep cycles affect our quality of sleep, so I went on to buy the $2.99 iPhone app and gave it a shot. I started using this app in September 2013 and just reached the 150 day mark. I figured this was a good samples size for showing my results. I figured this would be just an alarm clock that wakes you up when you have completed a sleep cycle. But surprisingly, there was another feature that really caught my interest. 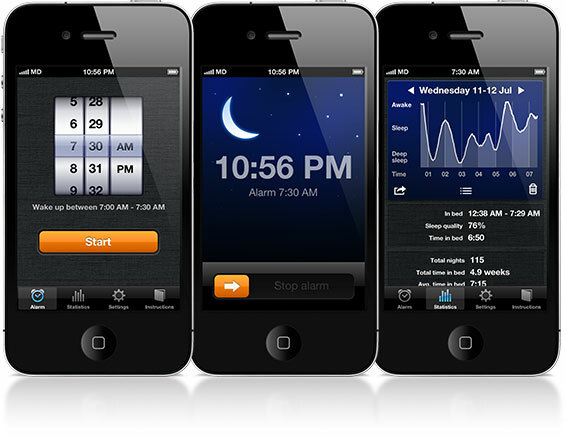 You can add different variables to track every night and see how they affect your sleep. This is purely correlation, but still adds an interesting dynamic. Sleep cycles are usually ~90 minute periods, so you may have 4-6 in a night. Ideally, you want to wake up at the end of the cycle. So how this app works is you choose a range of when you want to wake up. Mine is set on a 30 minute range – so for example wake up between 6:30 and 7:00 a.m. The alarm will sound when you are in your lightest sleep in that period. I hoped that this new alarm would help with some common morning symptoms of grogginess and cloudy-headedness. 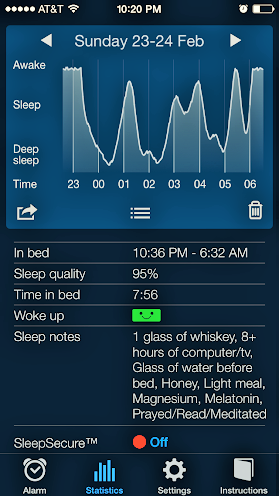 The Sleep Cycle app determines how well you slept that night based on a percentage. Your sleep quality percentage is calculated based on movements and vibrations throughout the night when you are in different states of sleep. Complex Carbohydrates Before Bed – fruits, vegetables, whole grains, etc. Lets start by looking at my best night sleep. This was on the night of Sunday Feb 23. I reached deep sleep on 3 different occasions and woke up a few times throughout the night. Also, my time in bed – 7:56 hours – was above my average over the 150 days – 7:34 hours. As you will see, many of these variables in the sleep notes are linked to a more favorable night sleep. 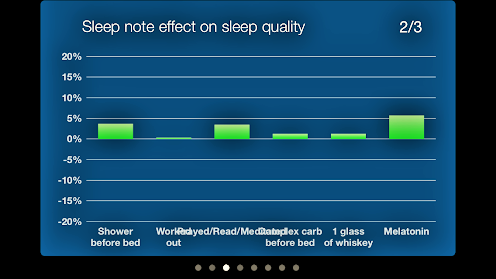 Now, here shows the variables and their individual effect on my quality of sleep. This is over the course of the 150 days, with some variables being added in later. Graph 2 has a little overlap in the wording. Drinking alcohol was linked to a 6% decrease in quality of sleep. Shower before bed was linked to a 4% increase in quality of sleep. Relaxing before bed via reading/praying/meditation was linked to a 4% increase in quality of sleep. Taking a melatonin pill before bed was linked to a 6% increase in quality of sleep. I pretty much agree with all of these. 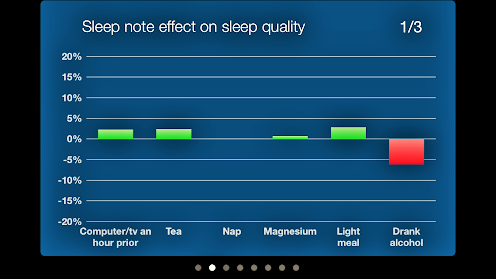 I anticipated that melatonin and quality relaxation would positively affect my sleep. 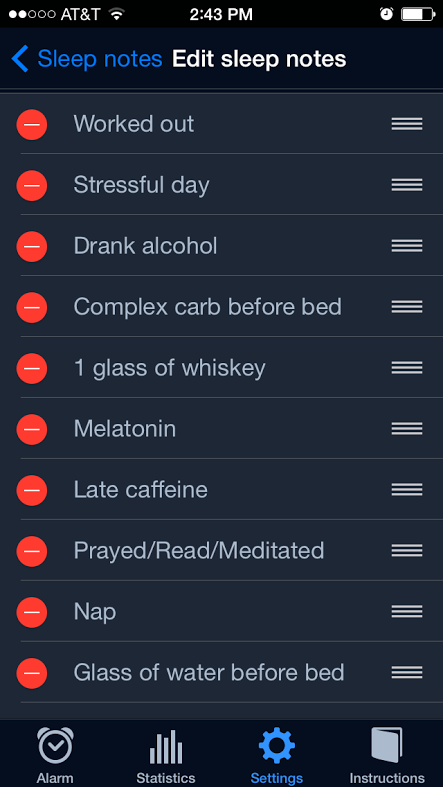 I also figured alcohol and caffeine would have negative effects. These don’t seem to make sense to me. But then again, these variables are not isolated so not much weight can be put on these findings. 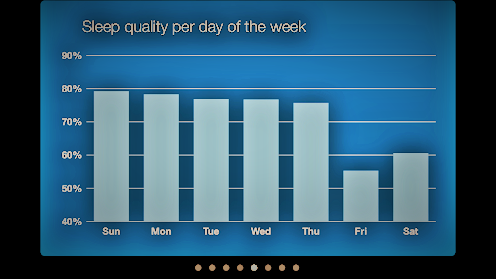 Lastly, see below for my quality sleep per day of the week. Friday and Saturday are the days I am most prone to having more than one cocktail. This shows the significance of some lack of sleep and alcohol. According to these results of the individual testing, my ideal night sleep would include computer/tv an hour prior to bed, tea, a magnesium pill, a light meal, a shower before bed, read/prayed/meditated, complex carbohydrates before bed, 1 glass of whiskey, a melatonin pill, honey, 8+ hours of comptuter/tv, and a glass of water before bed. There are a few issues I have with this app. First, there is no way to track variables when you wake up – only before you set your alarm. I would like to track a few variables such as temperature, lighting (sun through windows), initial energy, and mood upon waking. Also, the only way to record your quality of sleep (besides the sleep quality % calculated by the app) is to choose between the 3 smiley faces (good/moderate/poor). I didn’t find this to be useful at all. Ideally, this app would allow you to take notes when you wake up. Some take-aways from this 150 day experiment is confirmation of what I anticipated going in. Late alcohol and caffeine should be avoided if you need a good night sleep. It is often easier – and more effective – to remove or limit factors than to add them in. Also, occasionally take a melatonin pill before you sleep (I often take one if I am exposed to a lot of light prior to bed). Also, try to find a way to get into a relaxed state before bed. You can find many ways to accomplish this. Ideally, TV would not be in the mix however because the artificial light may throw off your body’s natural melatonin response. I just recently discovered a new free alarm clock app called Dream:On that claims to help influence your dreams. It plays light music during the night to influence your subconscious mind and ultimately play a factor in your dreaming. Sounds interesting enough to give it a shot. I’m also moving on to improving my morning routine.